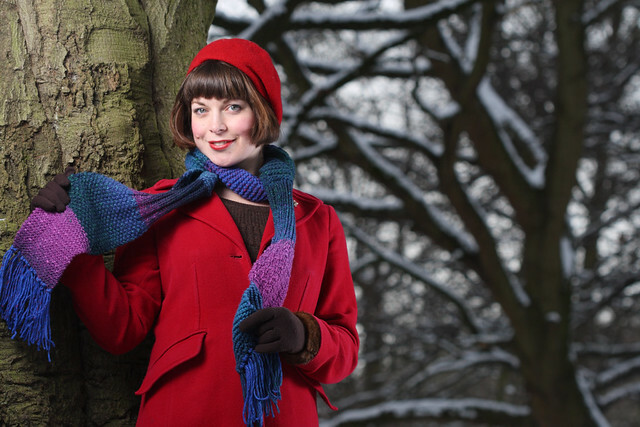 This beautiful scarf was hand-knit by Suzie as a sample for her Odds and Ends scarf pattern. 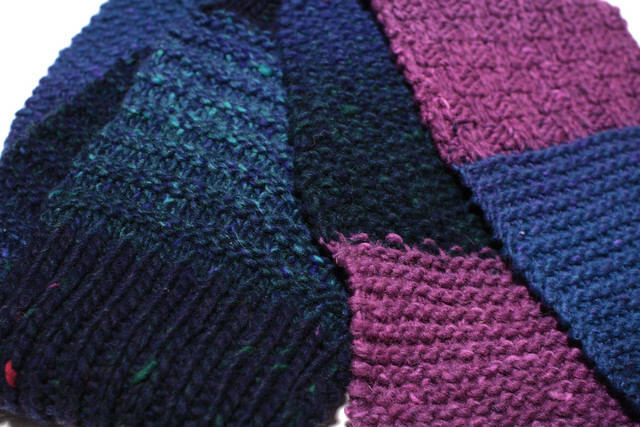 Subtle colour graduations from green to blue to purple show off a variety of stitch patterns, inspired by sample squares traditionally used for making blankets. What to make your own? No problem! The pattern is for sale as PDF download.